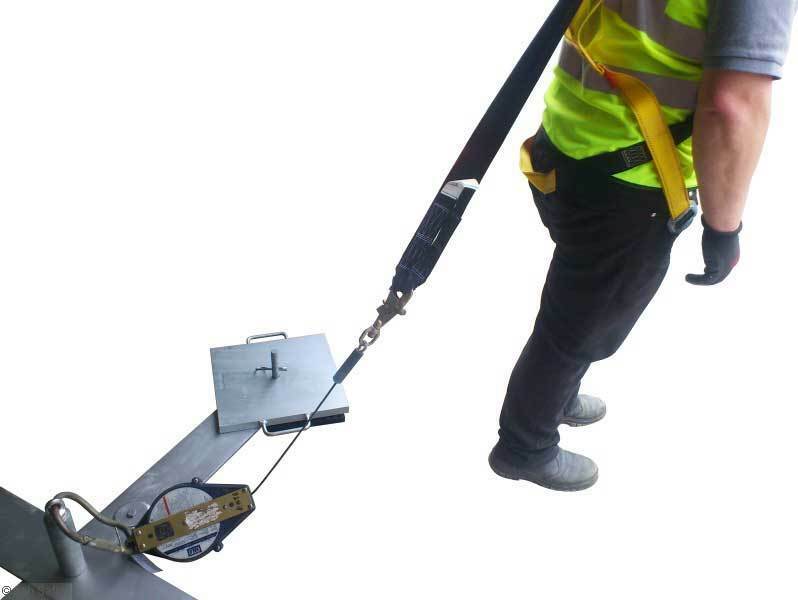 The Mobile Man Anchor is perfect for a quick temporary EN795 attachment point. The unit is very easy to install and is modular with the largest item weighing 25 kgs. 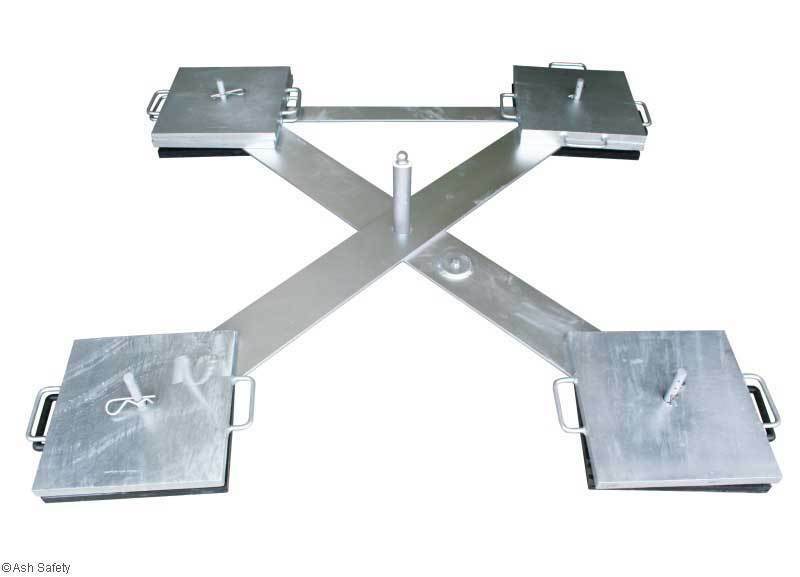 The set up shown is for a 1 man fall arrest or restraint system and comes with 4 base units coated for anti slip and 6 galvanised standard weights giving a 250kg base total. 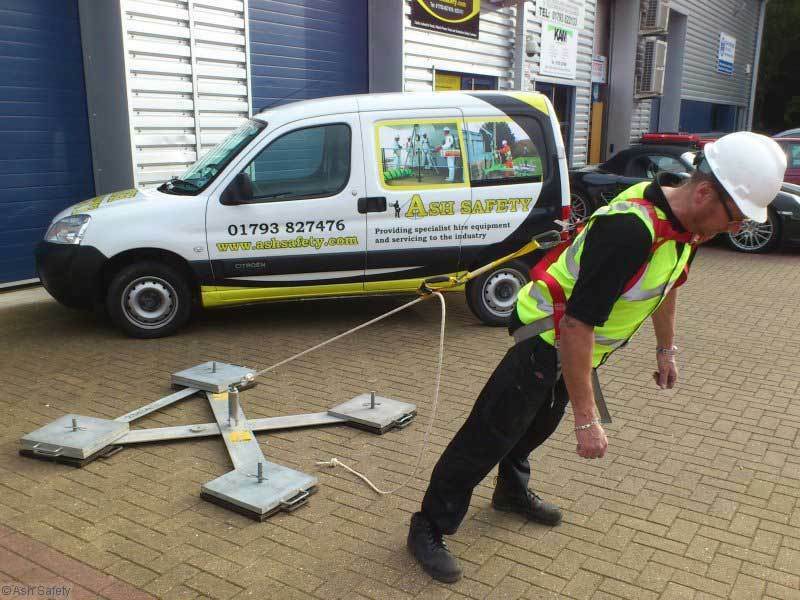 Extra weights can be added for extra personnel to attach and the units can be linked using a safety line to form a temporary line system to cover a much larger area. Risk assessment should ensure that if using this system the structure is capable of supporting not only the units weight but also any impact peak force that could be caused by a fall. The Weightanka 250kg set consists of: Cross Brace, 4 bases, 6 standard weights and an eye.